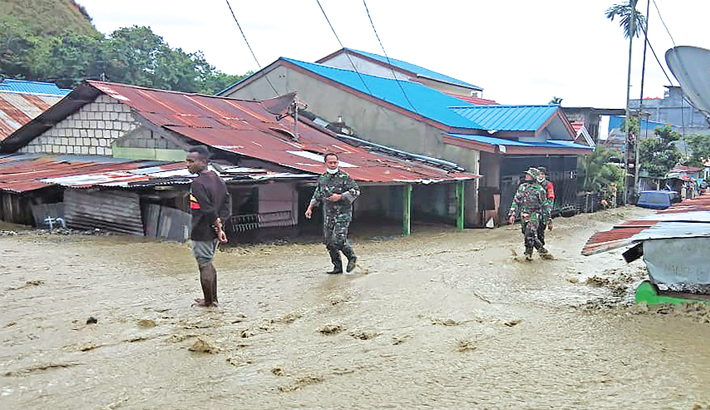 SENTANI: A baby trapped under rubble after flash flooding destroyed his home in Indonesia has been reunited with his father after the disaster killed the rest of their family, officials said Monday, as the death toll hit 79, reports AFP. Papua shares a border with independent Papua New Guinea on an island just north of Australia. Flooding is common in Indonesia, especially during the rainy season which runs from October to April.